AMSTERDAM – At the Swych bar in Amsterdam we have mounted façade advertising in 3D milled letters. Swych is a bar restaurant of NH Hotel Doelen in Amsterdam. In order to create recognizability, 3D milled letters have been placed on the façade. The letters have been mounted on the wall by means of spacers. The letters have been produced in accordance with the house style of the bar. Façade advertising in 3D milled letters is available in different colours and sizes. By means of the façade advertising the bar stands out, the business card of the company. Furthermore, the bicycle in front of the building has been provided with branding. 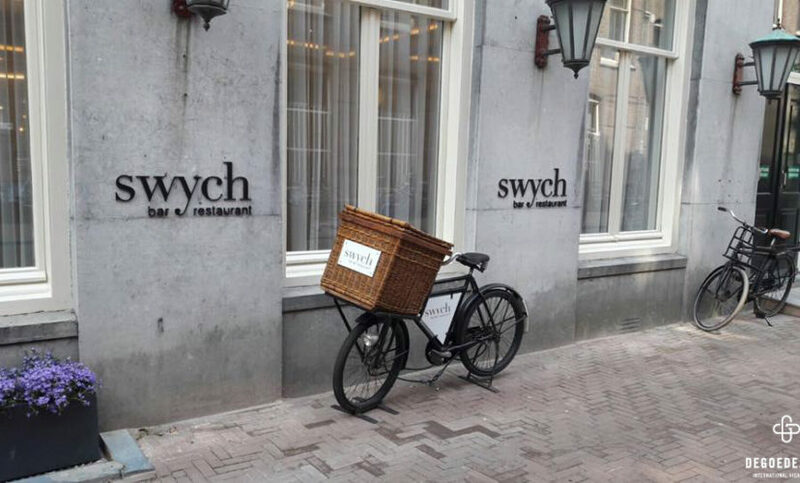 The branding consists of stickering of the bicycle in the house style of the Swych bar.